Our Melbourne based hard rock quarry customer is a leading provider of crushed aggregates meeting the demands of Melbourne’s building and construction sector. The quarry operates at a maximum production capacity of 350 tonnes per hour, ± 60mm conveyed material on a 16 hour a day, five-and-a-half-day production schedule. Prior to 2013, the quarry operator closely examined the site’s operation and identified the area under the jaw crushers and impact zone was notorious for causing excessive material spillage. The presence of material spillage resulted in frequent downtime and cleaning up of the affected area, this in turn placed pressure on the site’s profitability due to the increased cleaning up costs. The presence of dust emissions was also a primary concern leading to potential personal health risks and increased OHS hazards of slips, trips and falls. Dust control measures were needed to minimise contamination of the surrounding environment and damage to expensive conveyor equipment. Due to constant pressures placed on the site to extend the wear life of the conveyor belt and addressing the major issues of material spillage and dust emission, K-Flexal® Elastic Belt Support System was installed at the transfer point, in this scenario positioned directly under the transfer chute. 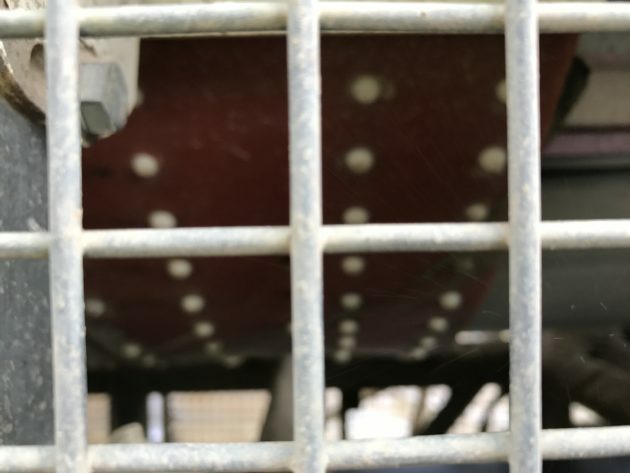 Current maintenance team described the K-Flexal® Elastic Belt Support System installation as solely to target the area under the transfer chute, which felt the full impact of the conveyed material, this force has the potential to cause damage to existing conveyor belt and idlers. The K-Flexal® installation comprised of 4 polyurethane elastic straps strategically aligned beneath the main impact zones. These straps are highly flexible and the unique patented elongation design further aids in the absorption of force and abrasiveness of the conveyed bulk material, whilst taking into consideration the dropping height, belt speed and conveyed material’s abrasiveness. Like most bulk materials handling operators in the industry who are often faced with extreme demands, on a high note current maintenance team were delighted to report the initial installation of K-Flexal® Elastic Belt Support System conducted well over 4 years ago continues to deliver very positive outcomes. The results also translate to extending the wear life of the conveyor belt and addressed the issues of material spillage and minimising dust emissions. “Acting as a shock absorber for conveyor belts” K-Flexal® Elastic Belt Support was “easy to install and it’s very belt friendly”. K-Flexal® certainly delivers a low co-efficient of pressure allowing minimal energy absorption, effectively reducing wear to the conveyor belt as well as the cost savings made from longer wear life of the pads. The only minor adjustments made to the system has been changing out of some worn pads, on average occurring every 6 months and this process was quick, simple and cost effective!